To detect cardiovascular conditions with the potential for sudden death in the young. To reduce sudden cardiac death through early detection and appropriate medical interventions, activity modification, or withdrawal for athletic participation if recommended by a physician. To provide a unique training opportunity for medical students, residents, fellows and practicing physicians to gain experience in cardiovascular screening and ECG interpretation. 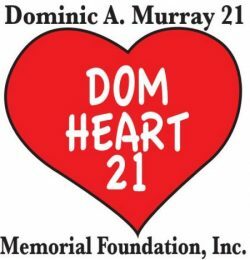 To raise awareness and educate schools and communities about sudden cardiac arrest warning signs and symptoms, and the value of cardiac screening. The screen consists of a Heart Health Survey investigating signs and symptoms and family history of cardiac conditions, blood pressure and physical examination, and ECG. An on-site echocardiogram is conducted in cases with a positive finding on history, physical examination or ECG. All results are reviewed by cardiologists and physicians experienced in cardiac screening.